It will welcome new homeowners and its guests starting with the lobby, a space dominated by expansive lounge seating and spectacular cozy warm fireplace, with the suites that offer luxurious living spaces, superior craftsmanship and exquisite features and finishes, this isn’t just a building or just a space to pass through, it’s a meeting spot, a place to share laughs, gather with friends and create memories. Right at your door step which is the jewel of the neighbourhood is a nine-acre park running east to west through the middle of the community and just around the corner residents will be able to just walk over and have full access to the new 100, 000 sq.ft flagship YMCA, Library and Community Centre. 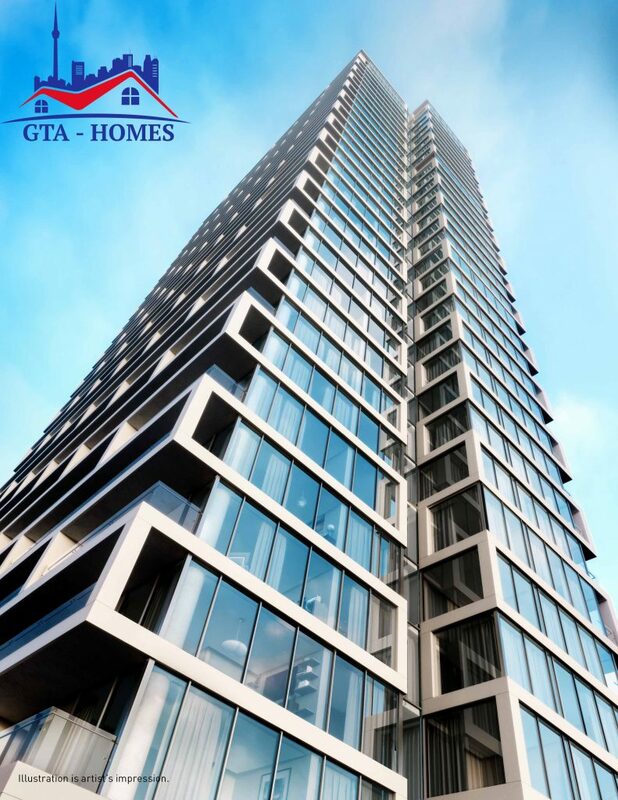 A new approach to condo living that will be evolving through out the years and the trend will be towards larger size suites, a residential and social community, where live, learn, work and play are all within reach and all this is happening in the heart of the new downtown. 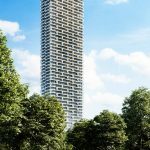 The bright finial at its summit will prove to become one of the city's most recognizable landmarks, and will be a proud home to its many residents. 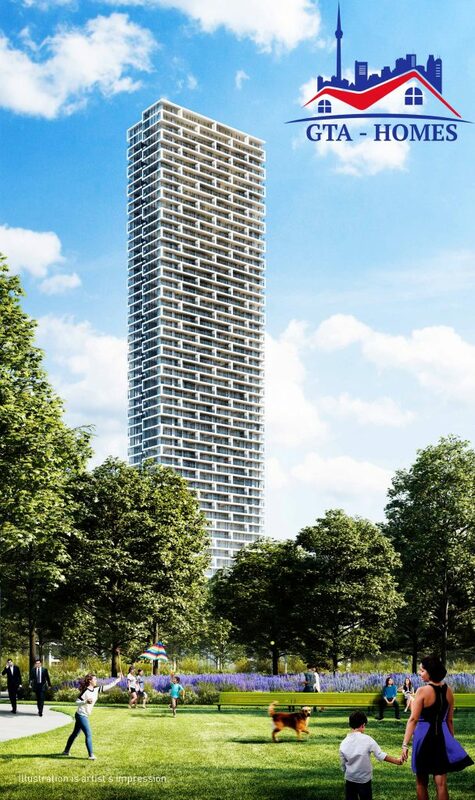 The area where these defining towers will be located is at the South West corner of Jane St & Portage Pkwy, and construction is expected to start late this year or early 2018 and scheduled to be completed in December of 2020. 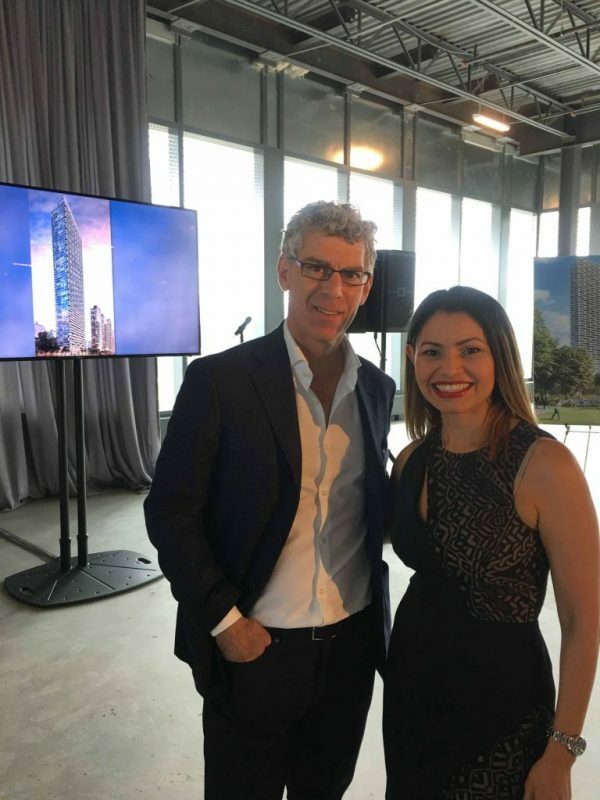 The shining pillars are endeavouring to define the emerging skyline of Concord - Vaughan, one of the region’s quickest developing cities. The condominiums are next to York Region Transit/VIVA bus terminal, a hub and core for the VIVA rapid bus transit along Highway 7 which has a tunnel access to the VMC Subway Station slated to be completed in Dec 2017. 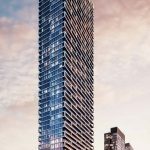 Units will be available for purchase in May 2017 and prices will start from the low $300,000’s. Flexible lounge spaces and boutique hotel finishes make it easy to entertain on a grand scale or wind down and relax. 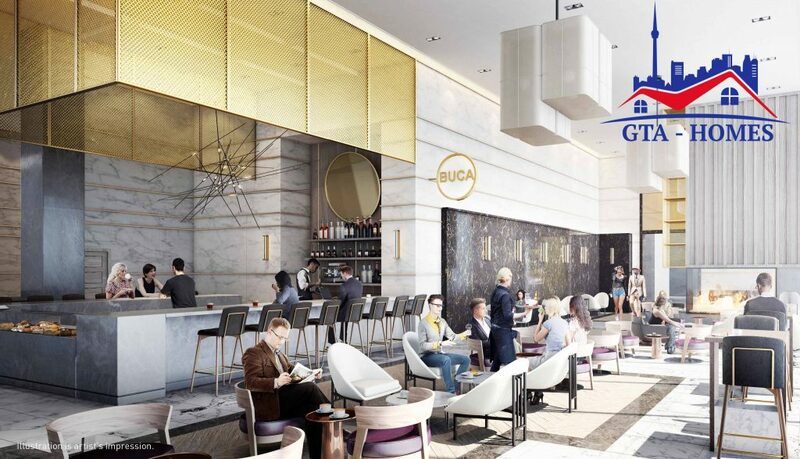 Work hard, live fast, lounge at your leisure, residents will also have access to state-of-the-art indoor and outdoor amenities including ground floor commercial retail, flexible private social function and meeting space, an indoor party room, media room, entertainment room and games room. The terrace continues the style, combining it with a luxury resort-like spa relaxed ambiance on a beautiful “Zen Garden” outdoor terrace. It will also feature stylish rooftop terraces and entertainment rooms so you can always host parties and have get togethers – combining a chill out vibe by day with a bar of course and a full size kitchen with BBQ area - a sun lounge complete with bed-size chaises - by night, the place you plan that al-fresco dinner party to host your favorite cocktails to take in the night sky and enjoy with friends. Wait and there is more - at the base there will be a 1,500 sq.ft bar providing refreshments through out the date, perhaps you'll feel like having a latte or a nice cold drink in those hot summer days. 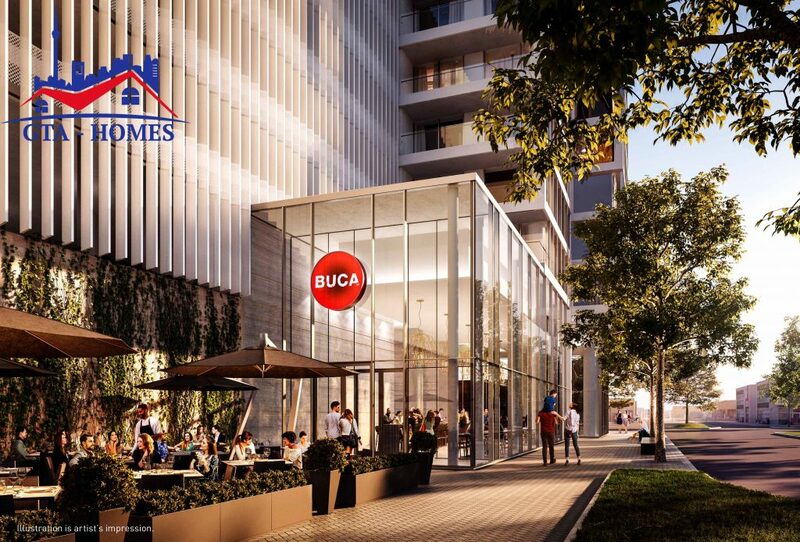 Beside the tallest landmark there will also be a signature artisanal 4,500 sq.ft Italian restaurant called "Buca" providing your Paste, Piatti Freddi or Carne. And wait there is even more, residents will have access to 100,000 square feet of state of the art amenities at the YMCA flagship facility featuring day care, fitness and aquatic facilities plus 20,000 sq.ft City of Vaughan Library and studio space. 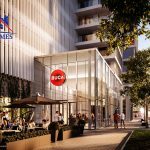 The developer has partnered with the YMCA to offer each resident a YMCA membership to allow them to have full access and enjoy all the fitness and lifestyle amenities that the YMCA offers. 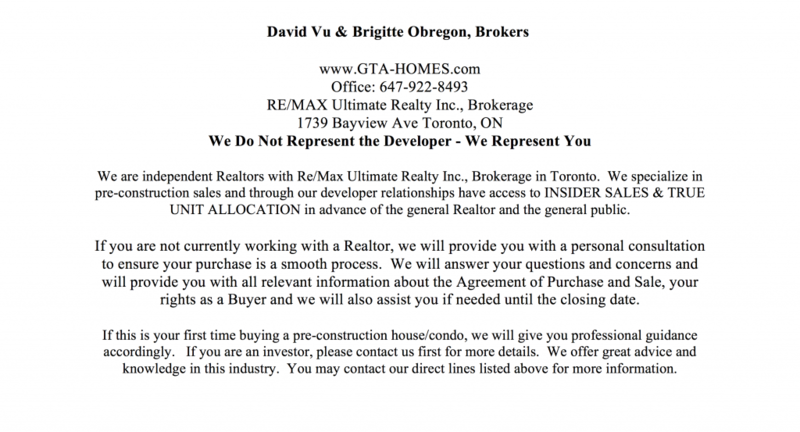 This goes on to prove that this developer isn’t just a real estate development company, but a lifestyle company. Its condos will feature wood laminate flooring, European style kitchen cabinets, Ceramic tile backsplash from Builder’s standard samples, Quartz or Granite kitchen countertops, Four Energy Star stainless steel appliances: refrigerator, oven, dishwasher and over the range microwave/rangehood, dishwasher and stacked washing machine and dryer. In the bathrooms you will find tall full vanity width & mirror with strip lighting fixture above. It’s nine foot ceilings, coupled together with units’ large windows will ensure that every resident enjoys plentiful natural light. 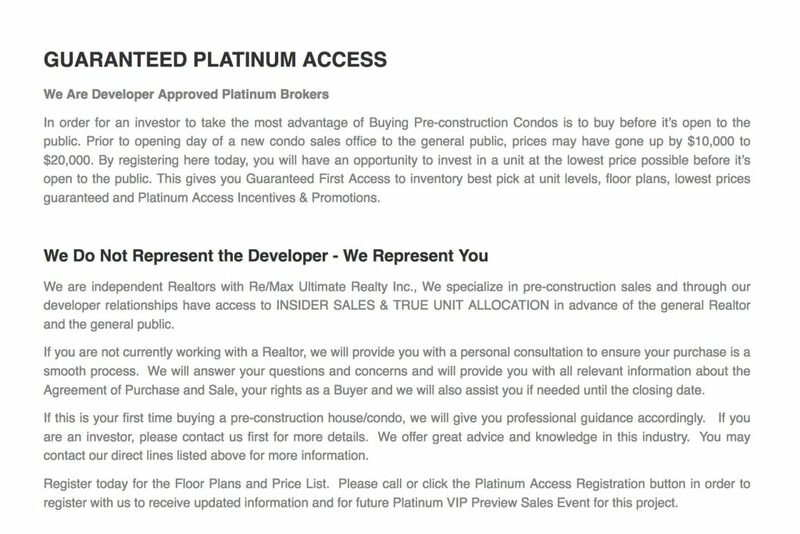 Register with us today and to be first to receive Brochure, Floor Plans & Price List. Launching May 2017! 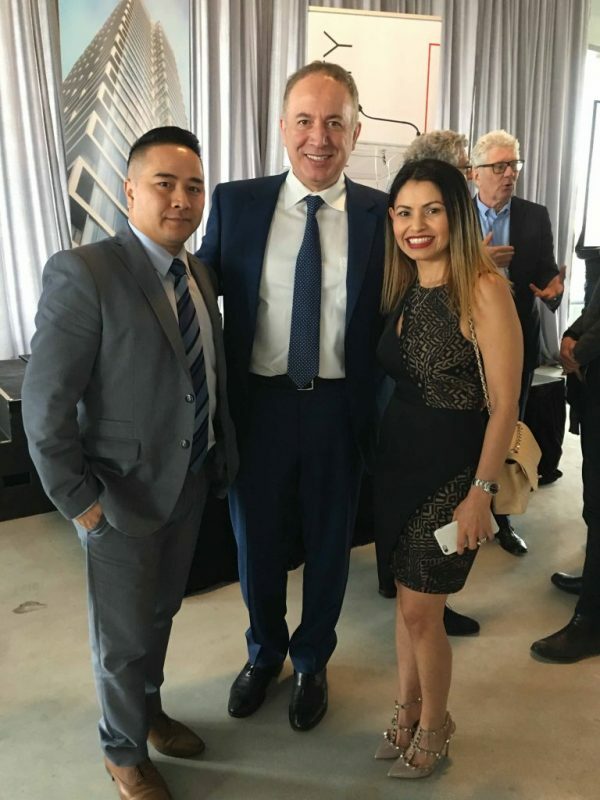 From left to right: David Vu, Maurizio Bevilacqua - Mayor of Vaughan and Brigitte Obregon at the Press Conference for Transit City Condos. From left to right: Mitchell Goldhar, Owner of SmartCentres and Brigitte Obregon at the Press Conference. 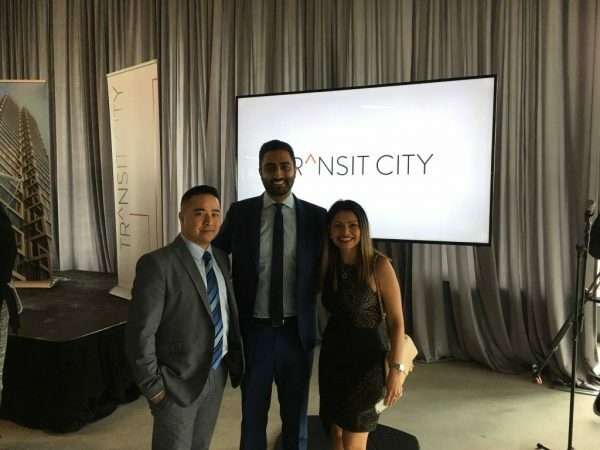 From left to right: David Vu, Shamez Virani, President of CentreCourt Developments and Brigitte Obregon at the Press Conference. 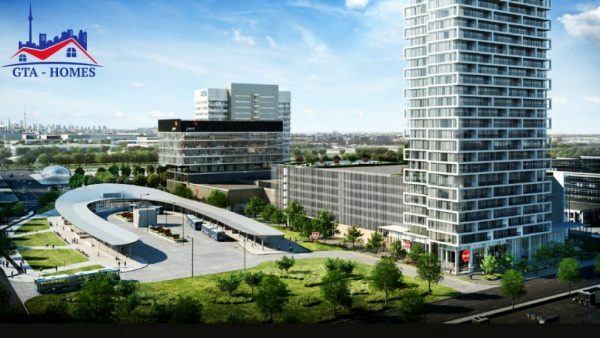 This new upcoming city is connecting the TTC Line from Yonge-University subway line to the new VMC Subway Station at Jane & Hwy 7 that will be opening end of 2017, it’s the last stop of the Subway Extension Project. Connecting you to 50,000 plus students and young professionals at York University which is only 7 mins away from Transit City Condos and 45 minutes to Toronto which has a population of 2.79 million people. It’s a place where connections are made – literally. Residents can walk and enjoy some of Vaughan’s most popular area amenities, they can shop at Vaughan Mills Premier Outlet, take in a flick at Colossus Cineplex, visit Canada’s Wonderland and indulge in some creative rides and games – all within walking distance or just a 5 minutes’ drive. It’s all happening here in the VMC that sits on 442 acres site when completed it will include 1.5 million square feet of commercial office space, 750,000 square feet of new retail space and 12,000 residences. 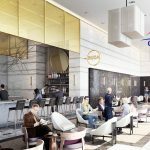 Once these new vibrant city is completed it will offer to its community at street level an artfully landscaped pedestrian-centric animated lane way, where you can sip a coffee and mingle with neighbours, will add a Soho-esque street-level life to this legendary area. It will be one of the most compellingly irresistible residential neighbourhood for the young and young-at-heart, all within reach and where communal spaces bring people together with friends and neighbours. Welcome to a new modern of living. Top 10 things to do within 10KM. 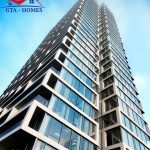 GTA's Newest Address for Talent & Innovation. A New Mobility Hub at Jane & Highway With New and Future Developments.